All companies—including cloud companies—claim customer-centrism, but in 2017 those with true CX will outperform, according to business guru Solis. When you speak to Brian Solis, the acclaimed digital analyst and anthropologist and author of books such as X: The Experience Where Business Meets Design, you get the impression of a student of life. While many follow his professional outputs and utilize them as best practices in business innovation, digital transformation, experience design and other initiatives, he does not spend much time burnishing his credentials. He’s too busy looking for the next opportunity to engage customers, employees and potential stakeholders. His newest endeavor encompasses nothing less than the complete rethinking of the customer experience (CX). Companies like cloud providers with great software-as-service products and cutting-edge mobile commerce will find that those alone will not cut it in the always-on world where customers share your company interactions non-stop. Thus, the X in CX—experience—has become your new brand, according to Solis. And now with the second decade of the real smartphone revolution dawning, Solis concludes that mobile apps have reprogrammed our brains, our behaviors and expectations, and in the process transformed the CX landscape. The very nature of CX has changed, according to Solis. For example, people accustomed to the traditional model of travel arrangements just log into Expedia or another online agency and book attractions that you can locate via Fodor’s or AAA. But new school people cannot find the off-the-beaten-path experiences for which they hunger via these methods. Some of these changes in the meta description of CX have to do with the much talked-about marketing shift from Gen Xers to Millennials. But it has also become a cross-generational flux with members of all age groups adopting a digital lifestyle. In 2017, this digital transformation will not only be about Millennials but also Generation CX, interpolating what Solis means. In the past, Solis has written words to the effect that Generation CX—also Generation C—encompasses anyone, regardless of age, who uses digital technology to stay connected. Not only connected to the internet through smartphones and social networks but also by employing crowdsourcing aspects of your other customers and their experiences with your brand. “The more you live a digital lifestyle, the more you have to change your thinking,” he says. Every company—cloud company or otherwise—needs to answer the question about customer experience, according to Solis. Their CX must adapt to changing purchase patterns because everyone from the travel industry to the internal combustion engine industry has felt the effects of customer deferment. In many cases, Millennials and 1099ers in the gig economy aspire to higher purposes (e.g., ALS ice bucket challenges, test-drive fundraisers). And companies that incorporate higher purposes into their CX design will outperform those that do not, according to Solis. According to Solis, startups—which could include MSPs and other cloud companies—present a challenge to legacy organizations. For example, too-big-to-fail vertical players such as taxi cooperatives and car makers have already experienced adverse impacts from Uber and Tesla, respectively, according to Solis. These enterprises have large investments in the way things have existed for extended periods of time. It’s almost a disincentive to disrupt the status quo for the sake of innovation. For example, Eastman Kodak had the early lead in digital photography but squandered this advantage in an ill-fated attempt to protect its physical film market. So with the traditional icons of business unwilling or unable to adapt to the demands of a world gone CX mad, it has opened up a tremendous opportunity for startups, according to Solis. And when startups compete against this leadership model they win. Who is the Customer? Who is Not? Ultimately, all businesses must monetize their customers in order to survive and continue service. To compete and provide the new CX, this means breaking down organizational silos. This means investing in new technology. In the process of monetization, all companies will become more customer-centric. At least it should happen that way, according to Solis. All companies—whether limited partnerships or publicly traded multinationals—have shareholders. And they all require some return on investment (ROI). However, it would be a mistake to confuse the needs of one with the demands of the other. The shareholder is not the customer, according to Solis. Investment is needed by CX. Stockholders want ROI. And the interests of public companies are at odds with a CX-centric orientation, in his opinion. For example, after the initial public offering to return capital to its early investors, Twitter lost its way and CX suffered, according to Solis. In contrast, Uber and Airbnb have held off going public for the higher purpose of serving the customer as well as possible. But the background music in a store? The cashier who doesn’t want to be at the store? CX has to be broken down into touchpoints. In 2017, CX touchpoints will become nonlinear. 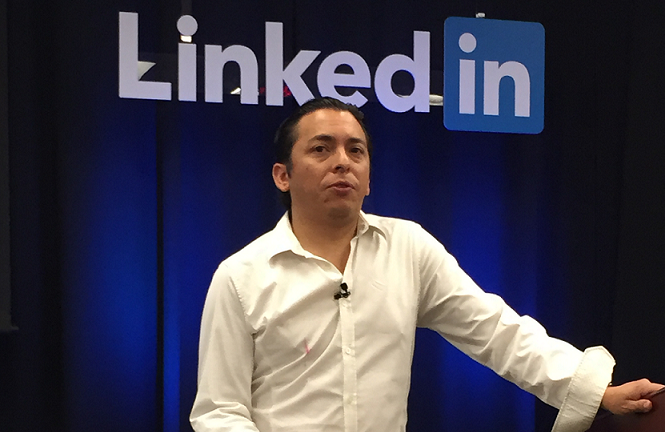 I always enjoy learning from Brian Solis. Great lessons on CX. Thank you!